After writing a review for a domain flipping program, I discovered that many people can not find good domain names. The same problem has many marketers and bloggers who can not find brandable domain names for their new websites. For this reason I decided to create my first training here on Wealthy Affiliate. Finding a good domain name for your new website is the next step after choosing your niche. While many Wealthy Affiliate members choose domain names from keywords, in some niches is not possible. Do not give up your niche, just find another domain name. Let’s start with some places where you can get some ideas. I need your opinion guys: Ex. I like the domain name pocketsense as it reflects to how I want to share in my blog, and since .com is taken, I'll take the .net instead. Will this give me a disadvantage if we both have the same content being shared online? Thanks for your help! The name of your domain is too important to your business to do anything to obscure it on the internet. By giving your domain a name that is similar to a dot com already taken puts you at a disadvantage, especially if you don't know how well that site is being received. Your dot net domain stands to be affected by the dot coms reputation, especially the negative impressions it generates. I would suggest you use Jaxxy to find a possible name for your domain that reflects your aim. Preferably a http://dot.com. There is some good advice on her guideline, although you need to make some research for yourselve and don't forget to follow the courses online with WA. Better slowly then never . Look a the tools on WA like Jaaxy and find some key words that will help you choose the domain. All the best . I am trying to buy a domain name for an organization that I am putting together. I am considering Godday since I don't know how to link it to my WA website, which is SiteRubis. What is your best advise, please? It would be better to buy your domain here if you plan to stay in WA. You can buy, renew and check your domain from the SiteDomains feature. Once you buy it, you can go to the SiteBuilder and build your website. Thanks. I already have a sitebuilder website here. But wondering since I have other businesses if it is better to get a new domain from Godday or others. I think you can transfer it later just like the other domain registrars. If you feel more comfortable with other sites, buy it elsewhere. Have you considered using Jaxxy to find a name that has the potential to represent your organization's aims? Jaxxy will also provide you the keywords for your domain's links. found expired domain names and got a great name for 8 bucks. Hi, where did you get your domain name, Here at WA or other platforms like Godaddy? I have bought all my domains in WA. However, if you have a domain on another platform you can use it too. Thanks for your training. You offer good information and links to follow. Much appreciated! Type your niche and click generate. I have found many good ideas for me and others many times. If you will not find anything good, try relevant variations of your niche. Thank you, great info. I found a few good names on there. What is the aim of your business? Have you tried to put a keyword for your site into jaxxy and see suggested names for a site represented by that keyword? Within Jaxxy, at right. you should see a list of suggestions. You could take any of them and check out the possibilities in https://www.namemesh.com. These domains are usually taken. 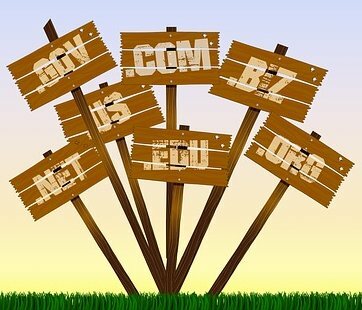 But if you find an available one it could work for you as any other good domain name. I liked your training, new to online business. Appraising tools like Valuate and Estibot are bots which make an estimation of the domain value. When you the estimation is low, usually they are not good domain names but it is not a rule. Many times these tools make mistakes. So it is guessing what it thinks your site name is worth? Yes, it makes an estimation based on some standard factors. oh ok... do you have any tips on how to form a site name that's worth something? After deciding your niche find a relevant keyword that the .com, .net or .org variances are still available. If you cannot find one, follow the training. On the third page, I write some factors that can help you to decide if your domain is a good one. Anyone got any experience of this or ideas please? If the numbers make sense, it is fine. Numbers are fine, it just makes saying your domain out loud cumbersome times. People don't know if it's "forty" or "40". Choosing a domain that's not already used? How can I check the domain history before buy it? Here is a Google search result for your question: http://bit.ly/2vN7k6P with several posts offering tips on exactly this. Would a domain name representing in the singular or plural be detrimental in terms of search results? I want to do superhero merchandise. I feel something with superhero rather than superheroes would be better in the domain name. If you can find an exact match domain name, I think that it would be better to avoid the small changes. But if you want to find a brandable domain, choose one that you really like. I made a domain on namecheap, about a week ago. Now I'm following your advice to have it transferred over. Namecheap is telling me I have to wait 60 days. So now I wait 2 months? AWESOME ! Thanks for alllllll the info ! VERY helpful !!!! If you can find an exact keyword in a domain name, buy it. If not, find a domain name that is easy to remember and type. Appraising tools can help you but if you really like a domain name just take it. For example, my domain name on "make money online" niche is http://makemoneybay.com. The appraisal is on $110 but I did not choose it for its value. It is easy to remember, brandable and you expect to learn how to make money when you visit it. I would have bought it even if the appraisal was $0. So, if you really like a domain name do not care about appraising tools. I appreciate your reply. Yeah, I can get the exact keyword in it, so I'll just choose the most appropriate one. This was helpful so thanks!